The tea kettle’s primary purpose was to boil water. 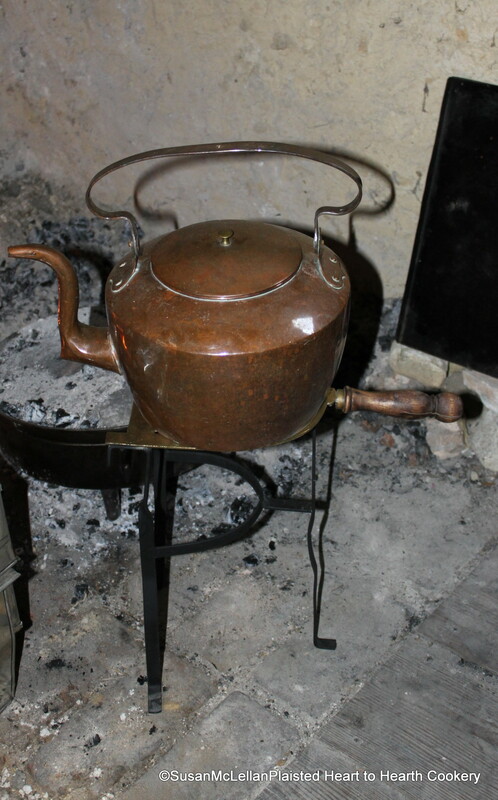 Cast iron kettles were primarily used at the hearth and the tin lined copper kettles in the parlor. This copper kettle is on an elegant stand with brass top and wood handle supported by an iron frame.